In Eagle Pass, Texas, where the U.S. and Mexico meet along the Rio Grande, a cattleman and the mayor face the dawn of a new reality.In the matter of a few turbulent months, the specter of cartel violence begins to loom from upriver, leading to an indefinite border closure and its rippling consequences on the homefront. Martín Wall’s livelihood depends on bringing cattle across the border to market, and his frustrations grow by the day as he reflects on supporting his young daughter.Meanwhile, Eagle Pass Mayor Chad Foster, a proud champion of the region, strives to convince the people (and perhaps himself) that the communities along the border can remain close and harmonious.Amongst these struggles, a rich and vivid portraitofthis corner of Americaemerges: an aspiring rodeo hero, a spirited bullfight, the vigilance of a retired Border Patrolman at the Rio, and the kind of frequent and vigorous celebration that’sinextricable fromlifeon the frontier as the world changes. Bill & Turner Ross are brothers who work in tandem as documentary filmmakers. Their first feature 45365, won the 2009 SXSW Grand Jury Award for Best Documentary Feature and the 2010 Independent Spirit Truer Than Fiction Award. Other accolades for the film include nominations for editing, cinematography, and debut feature at the Cinema Eye Honors, and selection for broadcast as part of PBS’s Independent Lens series. Their second feature, TCHOUPITOULAS, had its world premiere at SXSW in 2012 and premiered internationally at CPH:DOX, where it won Special Mention. The film also won the Emerging Artist award at the HotDocs Festival. 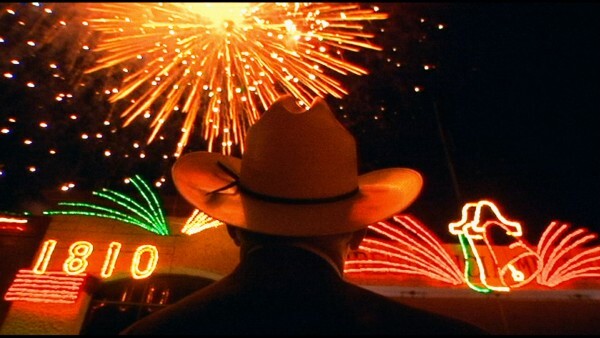 Their third documentary, WESTERN, is a glimpse of life in a Texas border town at a time of change, and is premiering at the 2015 Sundance Film Festival in the U.S. Documentary Competition.